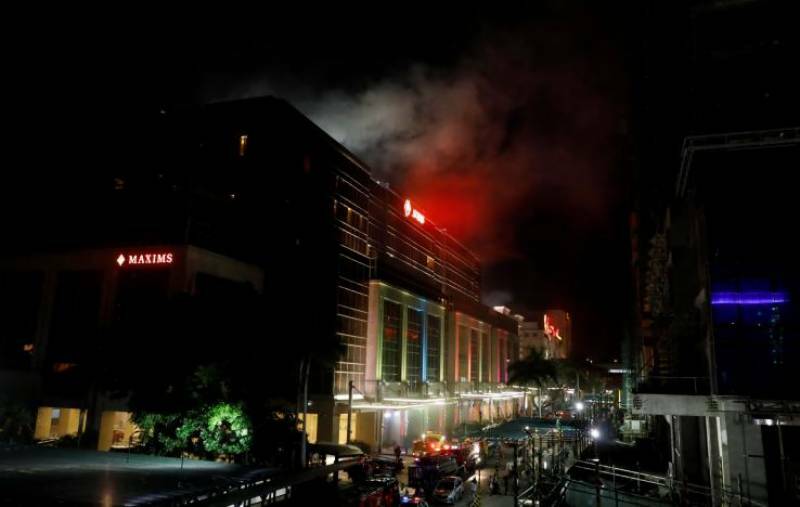 Manila (Reuters): At least thirty-five people were killed in a Manila casino, following an attack in the wee hours of Friday morning by a lone gunman who fired shots from an assault rifle and set fire to gambling tables. An earlier report from Philippines police misstated the death toll as 36. A gunman burst into a casino in the Philippines on Friday, firing shots and setting gaming tables alight, and at least 36 people were killed, most suffocating in thick smoke, in what officials believe was a botched robbery. 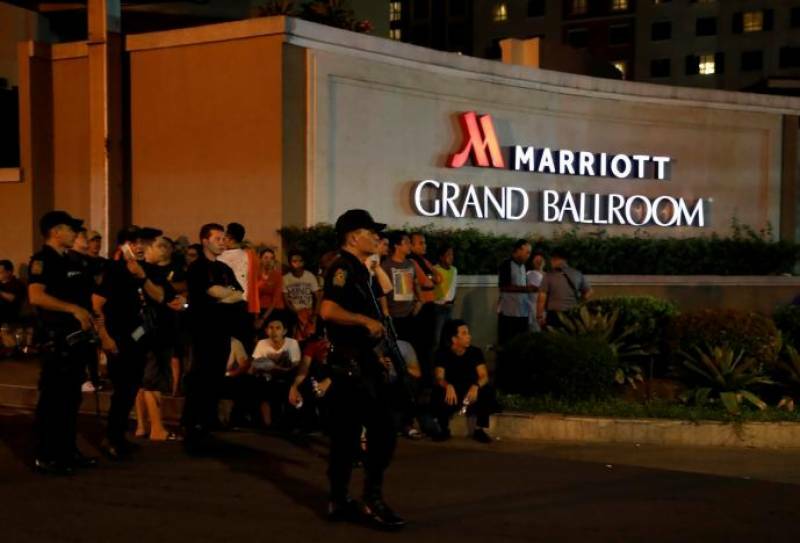 There was no evidence linking the attack at the Resorts World Manila entertainment complex to fighting between government troops and Islamist militants in the country's south, said Ernesto Abella, a spokesman for President Rodrigo Duterte. "All indications point to a criminal act by an apparently emotionally disturbed individual," Abella told a media conference. "Although the perpetrator gave warning shots, there apparently was no indication that he wanted to do harm or shoot anyone." Police said the gunman killed himself soon after the attack, and they later announced they were looking for a second "person of interest" who was believed to be a Philippine national. Most of the dead suffocated in the chaos as guests and staff tried to flee choking smoke at the complex after the attack began shortly after midnight (1600 GMT). Oscar Albayalde, chief of the capital's police office, said those that died were in the casino's main gaming area. "What caused their deaths is the thick smoke," he told reporters. "The room was carpeted and of course the tables, highly combustible." At dawn, the body of the suspected gunman was found in a hotel room in the smoldering complex, which is close to Ninoy Aquino International Airport and an air force base, police said. "He burned himself inside the hotel room 510," national police chief Ronald dela Rosa told a media conference. "He lay down on the bed, covered himself in a thick blanket and apparently doused himself in gasoline." Resort owner Travellers International Hotel Group Inc, a joint venture of the Philippines’ Alliance Global Group Inc and Genting Hong Kong Ltd, said authorities were seeking details. Its shares were down 7 percent. "We cannot attribute this to terrorism," national police chief dela Rosa told DZMM radio. "We are looking into a robbery angle because he did not hurt any people and went straight to the casino chips storage room. He parked at the second floor and barged into the casino, shooting large TV screens and poured gasoline on a table setting it on fire," he said. Kimberly Molitas, a spokeswoman for the capital's police office, said 113 million Philippine pesos ($2.27 million) worth of casino chips stolen during the raid had been recovered. "Even the security personnel panicked," casino guest Jeff Santos told a radio station. "Definitely us patrons we did not expect that, everyone ran away." Earlier, U.S. President Donald Trump said Washington was closely monitoring what he described as a "terrorist" attack unfolding in Manila. Dozens of police trucks and several Special Action Force vans and armored personnel carriers lined side streets near the hotel, casino and shopping mall complex as the drama unfolded. He tried calling back but there was no answer. "I am very worried as a parent, I need to find her," he said. Relatives of victims gathered in a parking area could be heard crying. A South Korean foreign ministry official said one South Korean had died, apparently after a heart attack.